"We will share the 3Dmark Vantage score of the Radeon HD 6870 and the magical number is 7500 at extreme quality, give or take a few points. This is the score on a 3.2GHz clocked Core i7 965 XE. We have also learned that with high quality textures the card scores close to 7400, while with adaptive quality settings you score a bit higher than 7500. The same card on high scores 11000 while at performance settings you can get 16500. With a six-core CPU you can probably score a few more points but we doubt that people with six core Intel CPUs will go for mainstream ATI card. 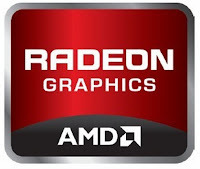 We can see some AMD six core adopters doing that and many, who can afford would like two of these cards.